TARA FLORENCE ARTISTRY - Lavender and Lace Cakes! How you can have your cake and eat it too! 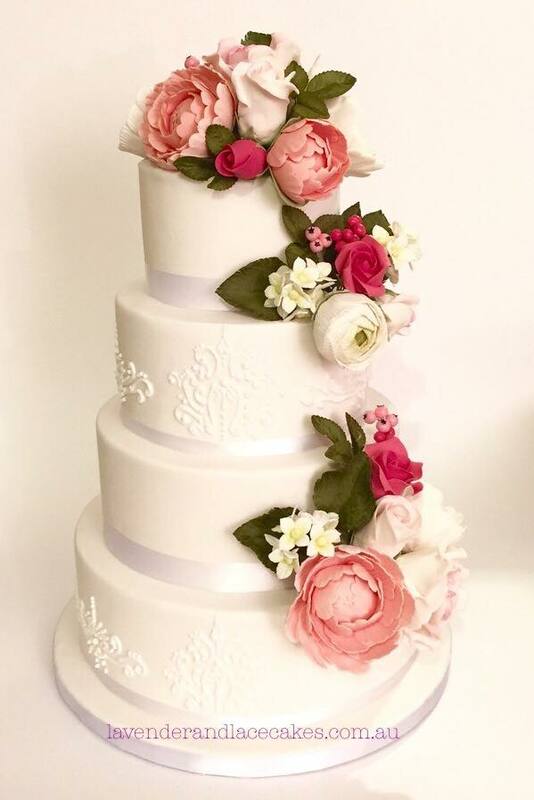 In my business of being a makeup artist, most of my clients are brides and wedding parties, which means when booking I often get asked if I have any recommendations for reputable cake makers. And I never did, until now. 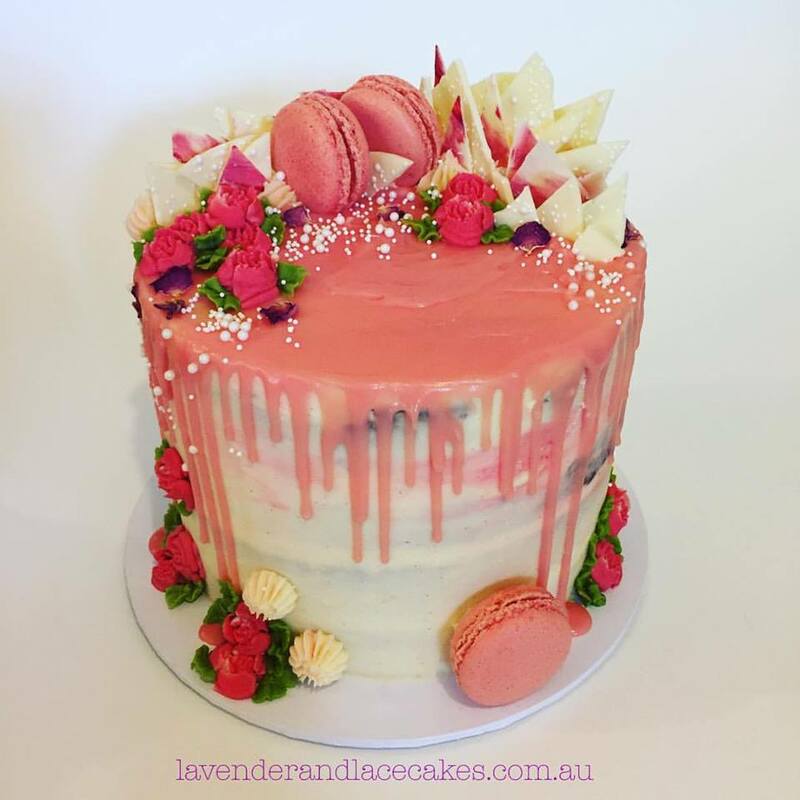 Sara from Lavender and Lace Cakes is a game changer. From incredible flavours to intricate designs , you will find anything you need through them. Sara is the owner and baker behind this incredible company and creates cakes that you would only see in your dreams. From extravagant wedding cakes to cake pops on a stick, no request is too much. Looking for a cake reveal at your baby shower? Chalk board style cookies or even just a salted caramel drip cake for the fun of it, Lavender and Lace Cakes does it all. Prices for cakes, cupcakes and cookies are all available on Sara's Website, which I will leave linked below for you! And Other flavours are available upon request! Being a celiac, I often find it hard to trust others with my dietary requirements, as well as most gluten free cakes are either too dry or tasteless. Sara made my 21st birthday cake and It couldn’t of been more perfect. She took exactly what I wanted and turned it into the cake of my dreams. A two tiered, Vanilla gluten free naked cake with peony roses to fit in perfectly with my laid back afternoon tea party theme. Not only did it look aesthetically pleasing, it also tasted like heaven on a fork. It fed all of my party guest and there was even some left over for me to indulge in on the days to come. As well as her business, cake making is also Sara’s hobby and you can see this by the amount of detail and love that goes into everyone of her cakes. From beautifully simple to eye catching extravagant, Sara makes cakes to suit your needs using only the freshest of ingredients that are locally sourced, and where possible free range and organic. Above and beyond I would recommend her to any one in search of a cake or two. Feel free to check out her social media pages below! Do you have any business within the Canberra Wedding community that you think I should know about? Comment their businesses down below so that I can check them out and spread the word!